As the year comes to a close it is always nice to to reflect on and review images I have made during the year. I was very blessed this year with many photographic trips and opportunities, foremost being the amazing experience I had in the Arctic National Wildlife Refuge. Spurred on by Jim Goldstein’s call to photographers to submit a ” top 10 best list” for a blog project, I have been scouring my files to narrow it down. Trust me this is not easy as I have added several hundred images to my worthy of printing category, and I seem to have an attachment to all of them. So here is what I came up with in no particular order. Every one of them spoke to me. Some I have blogged about during the year and some are new ones you have not seen. I hope you enjoy them! The thought process that went into making this image centers on observation of the environment with the recognition and extraction of a composition coupled with the anticipation of some vibrant light. So if you find yourself in a similar situation it pays to wait. Sometimes it works.! Extracting good compositions from the chaos of nature takes time and practice . “Seeing” is the goal of all photographers and on that note I need to give a strong recommendation to my good friend and fellow photographer Guy Tal’s new e-book on Creative Landscape Photography. Not only is Guy an amazing photographer, but he is also a gifted writer, and in Creative Landscape Photography he has created a true gem that will get you focused and thinking about the thought processes and techniques for making great nature photographs. Check it out! As the month of September draws to a close and the transition to Autumn is in full swing, I find myself thinking back to the last several months of Summer and the extremely satisfying time I spent in wild places photographing the amazing beauty and life of our planet. Personally, wilderness and wild places have always been very important to my life and it is in such places that my senses are most alive and connected to world. Perhaps it was my childhood growing up in rural Pennsylvania , where my backyard and playground were the local woods, fields and streams, that pointed me down this path of life, but as I grow older I seem to cherish more and more the time I can spend in truly wild places. It is with a bit of sadness that I ponder the fact that so many people have never had the opportunity to experience wild places and thus do not really understand the complexities and inter-relationships of our environment and life on earth. Certainly one of the goals of my photography is to try to capture the essence and sense of place that makes up the environment of natural and wild places so that people who have no personal experience may come to appreciate the beauty of such areas and then may at least consider why preservation of the environment and wild places is so important. This Summer I was able to make a trip and experience a small part of what I consider to be one our most amazing and important wilderness areas in the US, The Arctic National Wildlife Refuge in Alaska. 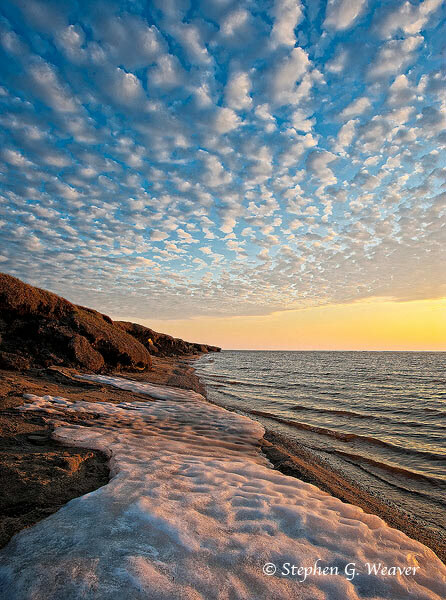 ANWR consist of over 19 million acres of incredible wilderness ranging from the stunning peaks and alpine environment of the Brooks Range to the amazing Arctic “prairie” of the arctic coastal plain and the shores of the Beufort Sea of the Arctic Ocean. I was lucky to experience a small part of it on two week river trip on the Canning River which we rafted for over 120 miles from the Brooks Range all the way to the Arctic Ocean . I have experienced a lot of wild areas but this trip was absolutely incredible, dare I say almost life changing. 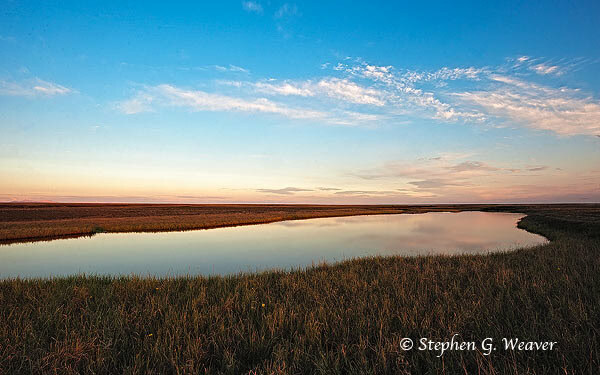 From fabulous alpine peaks and the absolutely crystal clear Marsh Fork to the vast sky and grasses of the arctic plain the entire trip was a visual delight and as a photographer, being able to work with the amazing quality of the ” midnight” low angle sun light was divine. In addition, the wildlife was incredible , particularly the large concentrations of nesting bird life on the arctic coastal plain. 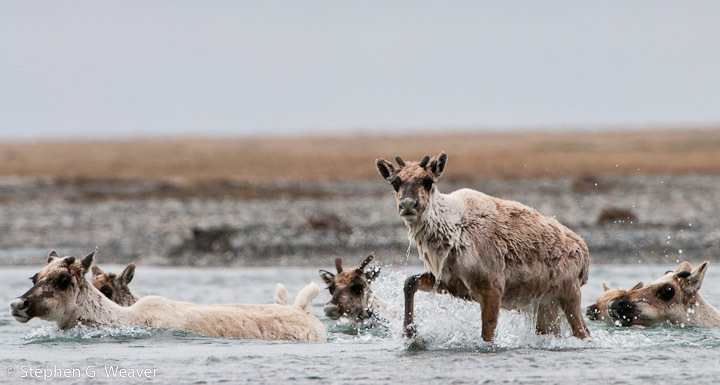 Having a close encounter with about 1000 caribou of the Central Arctic Herd crossing the river , some within 100 feet of us, was a sight I will never forget. Which brings me to the point of all this. 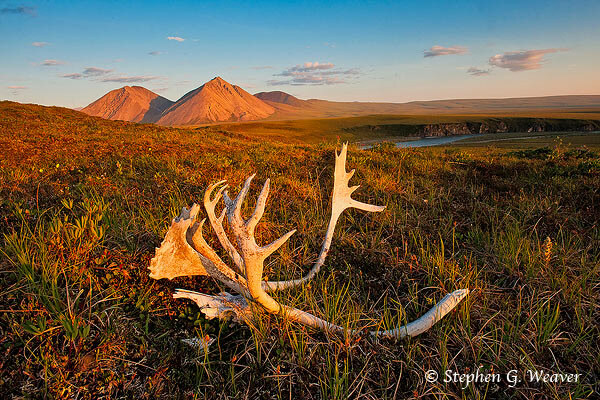 There are some places on this earth that need to be preserved as they are and not developed on any scale, and ANWR is one of them. The threat of oil development on the Arctic Coastal plain in the Refuge is still very real, but we must resist. There is too much to loose for a few years supply of oil. I will leave you now with a few images. They are no substitute for experiencing ANWR in person but I hope at least they can convey some of the spirit of the place. 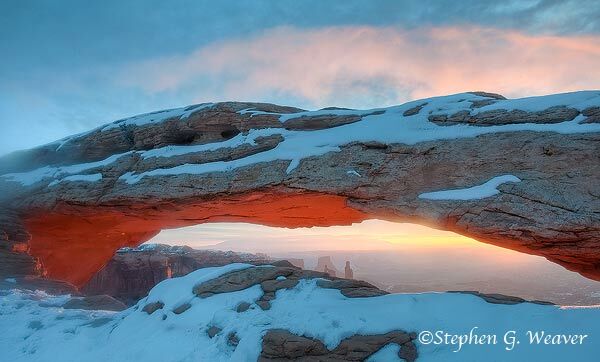 Mesa Arch Sunrise : Photographing the Iconic Image: There is a reason we do it! 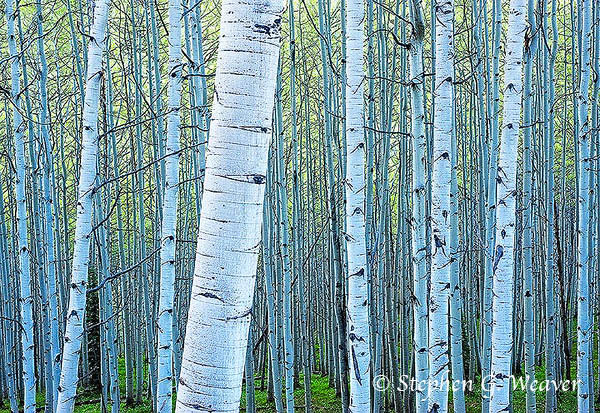 Certain images in the nature and landscape genre have become what we photographers know as icons. We all know what this means: these are the ” famous” features and scenes that have been photographed countless number of times by countless numbers of photographers. Well known examples are images like Yosemite Valley from the Winona tunnel, and the Maroon Bells reflecting in Maroon Lake with Fall color. 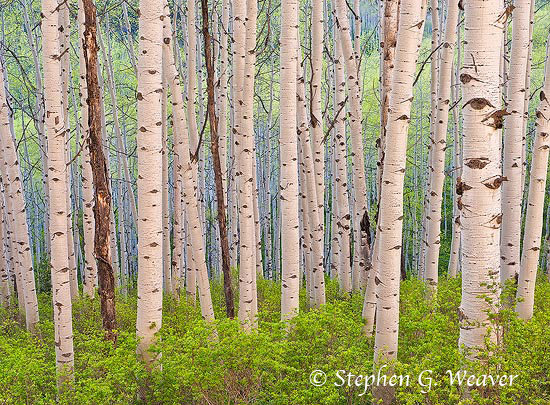 They are part of the “checklist” of images that serious landscape photographers all aspire to capture. The reason we all love to photograph icons is because they are such spectacular examples of the landscape of our planet. When photographers make images of “icons” are they doing something unique? At one level probably not, but at another level, at a personal distinct moment of time in their life, each photographer making an image of an icon captures their vision of the icon and makes it their own. It is important to consider that at any given time the light and environmental conditions will be different which will result in an image that will be truly unique. With this statement in mind, I personally often return to areas over and over to make images of scenes( icons or not) in different seasons, conditions and light. A great example of this is a recent photograph I made of of the iconic Mesa Arch in Canyonlands National Park photographed with the reflected light of sunrise imparting a spectacular glow on the underside of the arch. This icon was first made famous by the great large format landscape photographer David Muench. I have visited Mesa Arch on at least 5 different occasions in different seasons and light conditions and have been fortunate enough to have made a few decent images of this amazing feature. 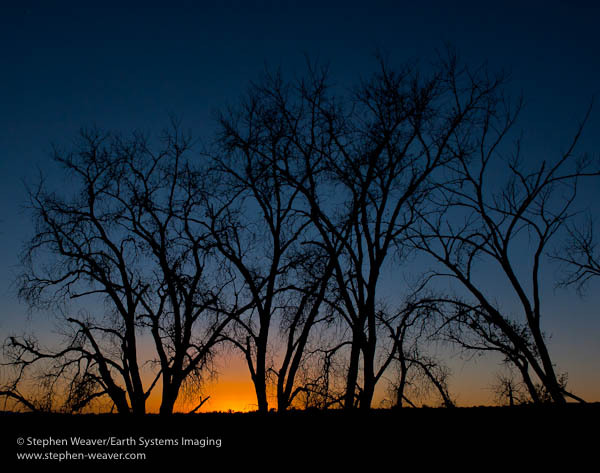 This most recent image was made in February when I was on my way to Reno Nevada to attend the NANPA summit. What makes it interesting and unique to me is the presence of snow and the misty clouds glowing with the sunrise light. Only one other photographer was present to experience this inspiring scene, and even if I had not successfully captured this image the experience of just being there and witnessing the amazing reflected light and glowing clouds would have been reward enough.